Dental excellence from our family to yours! 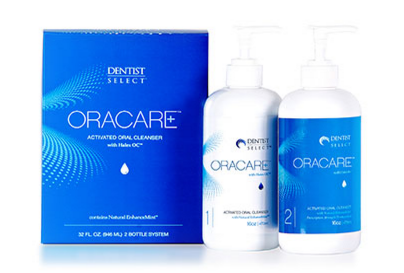 Get the bright, white, straight smile you've always wanted! Ease your anxiety with our fear-free appointments! 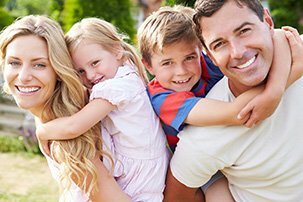 FAMILY DENTISTRY | A healthy, beautiful smile isn't always easy to acheive. Sometimes, it takes a team. At Foote Family Dental, we want to be that team for you and your family--to help you keep your smiles healthy and happy. We are committed to helping our patients attain gorgeous smiles with our family dentistry, and we'll listen to what you need and desire for your oral health. COSMETIC AND RESTORATIVE DENTISTRY | If you have ever felt that your smile could be improved, or that your teeth just don't look as good as they used to, we can help. We offer a full line of restorative and cosmetic enhancement services to our patients including such services as teeth whitening, dental crowns, dental bridges and more. SEDATION DENTISTRY | We want you to be able to get the dental care that you need without having to feel overly anxious or concerned. With sedation dentistry, we can sedate you for your visit either with nitrous oxide or oral conscious sedation. Both of these ways offer a safe and effective way to help our patients reduce anxiety, and be able to get the care that they need. Dr. Nora Richardson-Foote, Gonzales dentist, and her caring staff have served the wonderful people of Louisiana since 2000 by providing top quality dental care services to families. Now with our new state of the art facility, located in Gonzales, we are able to provide excellent dental care in a very comfortable family-friendly environment unlike any other office in our area. Here at Foote Family Dental we believe in listening to our patients, building relationships of mutual trust, and providing a comfortable, welcoming atmosphere where you know you will be taken care of. Our number one priority is our patients, so your concerns are our concerns too. Have more questions for us about the services we can provide to you? Give us a call today at our Gonzales Louisiana office! Sinsational Smile is an amazing way to whiten your teeth when you go in for your cleaning appointment. This 20 minute in-office whitening system requires no prep time and little to no sensitivity afterwards at a very affordable price, $99. In addition to the 20 minute whitening session, you get the tray and a take home whitening pen for continued whitening or touch ups. It is good for up to 60 applications. Learn more about our staff here at Foote Family Dental Care by clicking here. Be Sure to Ask About Our Sedation Options.